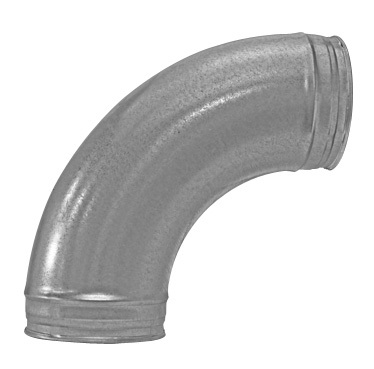 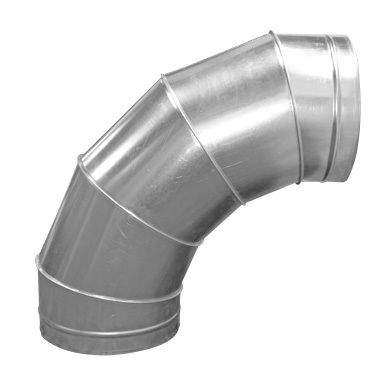 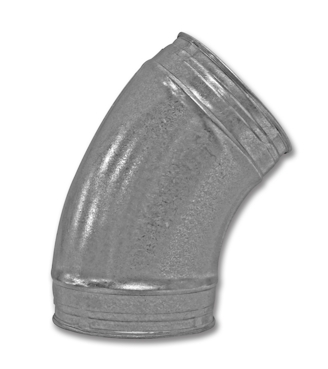 Galvanized steel elbows for spiral pipe systems. 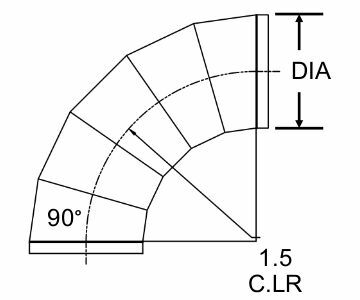 12 inch diameter and below are press formed, 14 inch and above feature welded segment construction. 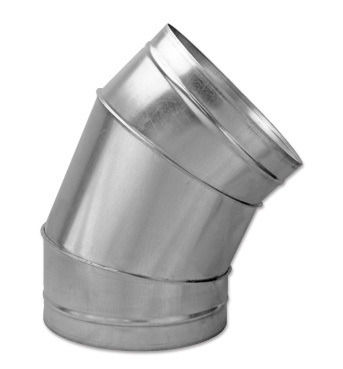 Ideal for Dust Collection, Fume Venting, and HVAC systems. 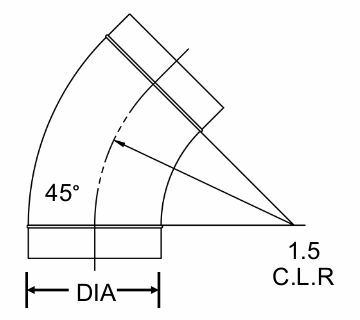 Larger sizes, 1.0 C.L.R. 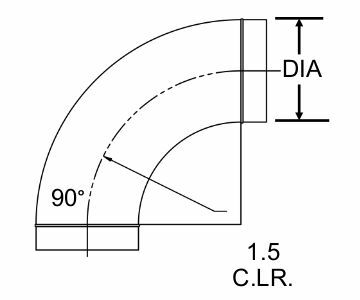 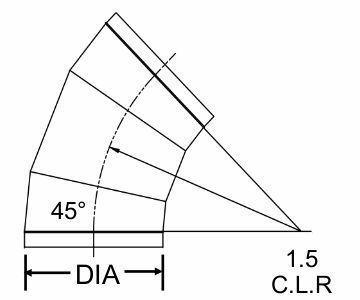 small radius versions, and custom elbows are available.